Abstract: The aim of this study is to introduce a toy jet fighter by using CAD. In order to do so, initially the literature is reviewed and patents are searched for justifying the originality of the design. After having satisfactory results from this review the author made sketching with pencil. The sketches are turned into 3D designs by using computers. Solidworks is used in the design process. The latest design is depicted in the figures and some implications for future research are presented. 1. Arandjus, M. and Tomc, H.G., (2016), “Rendering 3D graphics as an aid to stylized line drawings in perspective”, Journal of Graphic Engineering and Design, 7(2), pp. 5-13. 2. Boz, B., (2015), “İki Boyutlu Kağıtlardan Üç Boyutlu Origami Küpüne Yolculuk”, Araştırma Temelli Etkinlik Dergisi, 5(1), pp. 20-33. 3. Chandrasegaran, S.K., Ramani, K., Sriram, R.D., Horváth, I., Bernard, A., Harik, R.F. and Gao, W., (2013), “The evolution, challenges, and future of knowledge representation in product design systems”, Computer-Aided Design, 45(2), pp. 204-228. 4. Dani, T.H. and Gadh, R., (1997), “Creation of concept shape designs via a virtual reality interface”, Computer-Aided Design, 29(8), pp. 555-563. 5. Duatepe-Aksu, A., (2016), “Kâğıt Katlama Yöntemiyle Dörtgenlerin İncelenmesi”, Araştırma Temelli Etkinlik Dergisi, 6(2), pp. 80-88. 6. Gökçearslan, A., (2017), “Üç Boyutlu Yazıcının Grafik Tasarım Alanına Yansımaları”, Fine arts, 12(2), pp. 135-148. 7. González-Lluch, C., Company, P., Contero, M., Camba, J.D. and Plumed, R., “A survey on 3D CAD model quality assurance and testing tools”, Computer-Aided Design, 83(1), pp. 64-79. 8. Kozaki, T., Tedenuma, H. and Maekawa, T., (2016), “Automatic generation of LEGO building instructions from multiple photographic images of real objects”, Computer-Aided Design, 70(1), pp. 13-22. 9. Renner, G. And Ekárt, A. (20039, “Genetic algorithms in computer aided design, Computer-Aided Design”, 35 (8), pp. 709-726. 10. Sakine Öngöz, Hasan Karal, Mustafa Tüysüz, Adil Yıldız, Ahmet Kılıç, (2017), “Hukuk Eğitiminde Kullanılmak Üzere Üç Boyutlu Sanal Mahkeme Geliştirilmesi”, 8(1), pp. 69-90. 11. Varol, R., Yalçın, B. ve Yılmaz, N., (2005), “Bilgisayar Destekli İmalatta (CAM), CAM programı kullanılarak parça imalatının gerçekleştirilmesi”, Makine Teknolojileri Elektronik Dergisi, 1(3), pp. 47-57. 12. Yan, X. And Gu, P., (1996), “A Review of Rapid Prototyping Technologies and Systems”, Computer-Aided Design, 28(4), pp. 307-318. Abstract: Cloud computing is a recent technology paradigm that enables organizations or individuals to share various services in a seamless and cost-effective manner. Cloud computing makes it easy to have high performance computing. Cloud computing is a service which is easily available on market when you want it you can start the service and when you don't want you stop the service and you pay it for what you use, you need a computer or a laptop to access the Cloud Services. Cloud services are becoming popular in terms of distributed technology because they Allow cloud users to rent well-specified resources of computing, network, and storage infrastructure. Cloud computing is the development of parallel computing, distributed computing, grid computing and virtualization technologies which define the shape of a new era. However, most existing Cloud Computing platforms have not formally adopted the service-oriented architecture (SOA) that would make them more flexible, extensible, and reusable. By spanning the power of SOA and virtualization in the context of Cloud Computing ecosystem, this paper presents seven architectural principles. Keywords: Cloud computing, virtualization, Cloud Architecture. 1. Global Netoptex Incorporated. ―Demystifying the cloud.Important opportunities, crucial choices.‖ pp4-14. Available: http://www.gni.com [Dec. 13, 2009]. 4. NikhileshBarik, “Benefits and Challenges in Cloud Computing”, “International Journal of Network Security & Its Applications (IJNSA)”, Vol.4,No.1,2012. 5. S. Hameetha Begum, T.Sheeba, S.N.Nisha Rani, “Survey on cloud computing”, International Journal of Advanced Research in Computer Science and Software Engineering, Volume 3, Issue 1,pp 18-22, January 2013. 8. Grobauer, T. Walloschek, and E. Stöcker, “Understanding Cloud Computing Vulnerabilities,” 2011 IEEE Security and Privacy, pp. 50-57, DOI= March/April 2011. Abstract: HITS (Hyper Link-Induced Topic Search) are a classical link analysis algorithm for analyzing WSM (Web Structure Mining). The algorithm takes into consideration of the structural information of links but ignores the correlation between pages and topics. In some cases, the problem of “topic drift”-a deviation between search and topic-would appear. For this purpose, the current paper presents an improved algorithm, by taking into account both of the web content similarity and link analysis. Our experiment shows that the improved algorithm has enhanced the correlation of search results and limited the occurrence of topic waft to some degree. 1. WU An-qing,ZHANG Ying-jiang,TU Jun. Research on Integrative Crawling Strategy of Subject[J]. Journal of Wuhan UniversityofTechnology,Vol.8,No.2,pp.74-76,2006. 2. DAI Kuan,ZHAO HUI,HAN Dong,SONGTian-yong. Theme Feature Extraction of Chinese Webpage Based on Vector Spa ceModel[J].Journal of Jilin University:InformationScience,Vol.32,No.1,pp.88-94,Jan.2014. 3. SHU Ben,YINKe. Research and Design on Topical Crawler Based on Analysis of Conte nt and Link[J].Computer and Modernization,No.4,pp.77-80,2014. 4. [WEI Jing-Jing,YANG Ding-Da,LIAO Xiang-Wen. Focused Crawler Based on Improved Algorithm of Web Content Similarity[J]. Computer and Modernization,No.9,pp.1-4,2009. 5. GUO Hong.An Improved HITS Based on Texts[J]. Application of computer system,No.9,pp.38-40,2009. 6. LIU Tie-Nan,LIUBin,LIANG Fu-Gui. A genetic algorithm with local searching strategy and its application[J]. Journal of Daqing PetroleumInstitute,Vol.29,No.2,pp.76-78,Apr.2005. 7. QIAN Gong-Wei,NI Lin. Extended PageRank algorithm based on Web link and content analysis[J]. Computer engineering and applications,Vol.43,No.21,pp.160-164,2007. 8. NI Xian-Jun. Research on the Improving Algorithm of Web Structure mining[J]. Micro computer information,Vol.12,No.3,pp.163165,2007. 9. HUANG Li-Wen,QIAN Wei. An Improved HITS Approach for multi-document Text Summarization[J]. Computer application,Vol.26,No.11,pp.2625-2627,2006. 10. WANG Xiao-yu,ZHOUAo-ying. Linkage Analysis for the World Wide Web and Its Application A Survey[J]. Journal of Software,Vol.14,No.10,pp.1768-1780,2003. 11. YU Jinping, ZHU Guixiang, MEIH ongbiao. Research and improvement of HITS algorithm based on Web link analysis[J]. Computer Engineering and Applications,Vol.49,No.21,2013. 12. Cho J, Garcia-Molina H, Page L. Efficient Craw ling through URL Ordering[J].Computer Networks, Vol.30(1- 7),pp.161-172,1998. 13. HE Xiao-Yang, WUQiang, WUZhi-Rong. Comparative analysis of HITS algorithm and Page Rank algorithm. Journal of Informaiton,No.2,pp.85-86,2004. Abstract: As we all know with the invention of robots various complex human tasks have been easier and can be done simply. Robot can help in industries to achieve faster production by replacing human efforts and also robots can go to places where human life can be in danger. Although no robot can match ingenuity of human hand. Using controllers to simulate mobile robotic arm was a tedious task for humans as it had numerous keys and it was not easy to calculate joint angles manually. So to overcome this drawback Leap motion controller is very accurate, fast and robust device which can calculate joint angles precisely. Leap motion sensor can track human hand 300 times a second within a 1 meter hemisphere. Functions Leap Motion can perform are far more impressive than one might imagine. The impressive performance of the leap is because of the two monochromatic IR sensors and infrared LED’s. In this paper we present implementation of leap motion to control the Mobile Robotic Arm via gestures of human hand. Here we are using leap as a motion controller to simulate the robotic arm which is connected through serially (232) via USB port. This serial communication is supervised through AVR microcontroller that is mounted on Arduino UNO. The coordinates that come from leap are compiled in JAVA and given as input to Arduino UNO. We have written Arduino code that interprets the input from JAVA and transmit them in order to control the motion of the Mobile Robotic Arm and four wheel buggy. Practical implementation has also been explained. 1. Ayanava Sarkar ,Ketul Arvindbhai Patel, Ganesh Ram R.K,Geet Krishna Capoor,” Gesture Control of Drone Using a Motion Controller” , BITS Pilani, Dubai Campus P.O Box 345055, Dubai, UAE. 2. Bassily, C. Georgoulas, J. Güttler, T. Linner, T. Bock, TU München, Germany,”Intuitive and Adaptive Robotic Arm Manipulation using the LeapMotion Controller” Conference ISR ROBOTIK 2014, VDE VERLAG GMBH • Berlin • Offenbach, ISBN 978-3-8007-3601-0. 4. Maheu, V., Frappier, J., Archambault, P.S., Routhier, F. , Evaluation of the JACO robotic arm: Clinico-economic study for powered wheelchair users with upper-extremity disabilities, Proceedings of the 2011 IEEE Int. Conf. on Rehabilitation Robotics (ICORR), 2011, pp. 1 –5. 5. Wei Lu, Member, IEEE, Zheng Tong, and Jinghui Chu “Dynamic Hand Gesture Recognition with Leap Motion Controller”SPL-19984-2016.R1. 6. Vargas H.F. and Vivas O.A. “Gesture recognition system for surgical robot's manipulation”. IEEExplore ScienceDirect. 17-19 September, ISBN 14851679. 8. Sunil L. Bangare, et al., "Implementing Tumor Detection and Area Calculation in MRI Image of Human Brain Using Image Processing Techniques. "International Journal of engineering Research and Applications Vol.1, Issue.5, pp. 60-65, April 2015. 9. Sunil L. Bangare, et al., "Reviewing Otsu’s Method for Image Thresholding. ", International Journal of Applied Engineering Research, Vol.10, Issue.9, (2015), pp.21777-21783. 10. Pallavi S. Bangare, et al. "Implementation of abandoned object detection in real time environment." International Journal of Computer Applications, Vol.57, Issue.12, November 2012, pp 13-16. 11. Sunil L. Bangare, et al. "Quality measurement of modularized object oriented software using metrics.” Proceedings of the International Conference & Workshop on Emerging Trends in Technology. ACM, 25 February 2011, pp.771-774. 12. Magar, Anand Mohanrao, and Nilesh J. Uke. "Use of AST for Translating Executable UML Models to Java Code in Eclipse and Testing Strategy for UML Models." International Journal of Innovative Technology and Exploring Engineering (IJITEE), Vol.3, Issue.7, 2013, pp.157-160. 13. Yalla, Prasanth, and Nakul Sharma. "Integrating Natural Language Processing and Software Engineering." International Journal of Software Engineering and Its Applications, Vol.9, Issue.11, 2015, pp.127-136. 14. Yalla, Prasanth, and Nakul Sharma. "Utilizing NL Text for Generating UML Diagrams." Proceedings of the International Congress on Information and Communication Technology. Springer Singapore, 2016. 15. Mane, Tushar, and Laxman Deokate, "THE REAL SOCIAL NETWORKING WEBSITE. ", International Journal of Advanced Technology & Engineering Research (IJATER), Vol.3, Issue.1, 2013, pp.36-42. 16. Lathkar, Shilpa G., Nilima A. Kavitke, and Abhay N. Adapanawar. "Online Digital Advertising on Public Display." International Journal of Computer Applications, Vol.66, Issue.10, 2013. 17. Kotwal, Priya A. and S. L. Banagre, et al. "A Location Tracer With Social Networking Services." International Journal of Engineering and Technology (IJET), Vol. 4, Issue.1, 2012. 18. Magar, Anand Mohanrao, and Nilesh J. Uke. "Use of AST for Translating Executable UML Models to Java Code in Eclipse and Testing Strategy for UML Models." International Journal of Innovative Technology and Exploring Engineering (IJITEE), Vol.3, Issue.7, 2013, pp.157-160. 19. Rathod, Aakash, Nitika Sinha, Pankaja Alappanavar. "Extraction of Agricultural Elements using Unsupervised Learning." Imperial Journal of Interdisciplinary Research, Vol.2, Issue.6, 2016. 20. Jain, Jyoti, et al. "Sentiment Analysis Using Supervised Machine Learning. "Imperial Journal of Interdisciplinary Research, Vol.2, Issue.6, 2016, ISSN: 2454-1362. 21. Nihar Suryawanshi, et al. "Sentiment Analysis Using Machine Learning. "Imperial Journal of Interdisciplinary Research, Vol.6, Issue.1, 2016, pp.451-453. 22. Kumar, Samarth, et al. "Stock Market Forecasting using Hybrid Methodology." Imperial Journal of Interdisciplinary Research, Vol.2, Issue.6, 2016. 23. Sutar and P. Y. Pawar, “Load Balancing with Third Party Auditor”, International Engineering Research Journal (IERJ), Vol.2, Issue.3, 2016, pp.1156-1160. 24. Mishra, et al., “DDOS Attack Detection and Multivariate Correlation Analysis and Clustering”, International Journal of Science Technology and Engineering, Vol.2, Issue.12, 2016. 25. M. K. Nivangune et al, “Secured Online Voting System over the Network”, International Engineering Research Journal (IERJ), Vol.2, Issue.3, 2016, pp.1380-1383. 26. Sunil L. Bangare, et al. "Automated API Testing Approach." International Journal of Engineering Science and Technology Vol.4, Issue.2, 2012. 27. Sunil L. Bangare, et al. "Automated Testing in Development Phase. 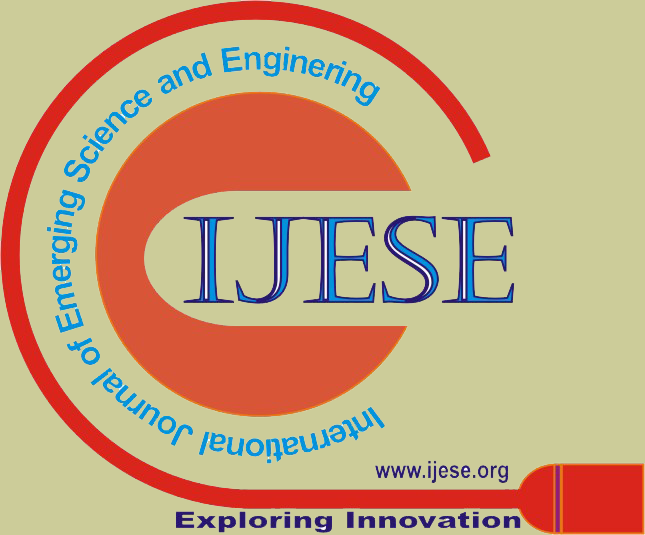 "International Journal of Engineering Science and Technology Vol.4, Issue.2, 2012. 28. S. L. Bangare, G. Pradeepini and S. T. Patil, "Brain Tumor Classification Using Mixed Method Approach", IEEE International Conference on Information Communication and Embedded Systems (ICICES), S.A.Engineering College, Chennai, Tamilnadu, India, (2017). 29. S. L. Bangare, G. Pradeepini et al., "Brain Tumor Classification Using Support Vector Machine: A Review", National Conference on Computational Sciences (NCCS), Karpagam University, India, (2017). Keywords: flux (change of heat flow with respect to time and distance) and CFD, “ STP"
1. AmanRajak, et al., dynamic analysis of pelton turbine and assembly, proceedings of IOE graduate conference, Nepal, 2014 pp. 103-109. 4. Chong-won lee, saving campbell diagram for dynamic analysis of complex rotor systems, icsv20, bangkok, thailand, july 2013, pp. 1-14. 5. Jiaqiliang,p umped storage hydro-plant models for system transient and long-term dynamic studies, institute of electrical and electronics engineers, 2007 pp 1-8. 9. Amodpanthee, et al., CFD analysis of pelton runner, international journal of scientific and research publications, vol. 4(8), 2014 ISSN 2250-3153 pp 1-8. 11. D jost, et al., numerical prediction of pelton turbine efficiency, iop conf. Series: earth and environmental science, in UK, 12 (2010) pp 1-8. Abstract: The importance of dominance and skyline analysis has been well recognized in multi-criteria decision making applications. Most previous works study how to help customers find a set of “best” possible products from a pool of given products. Concept of dominance is used here for doing business analysis. In this paper five queries are proposed which are called as dominant relationship queries. With the help of these dominant relationship queries product manufacturing companies can create new profitable products, compare products and find some attributes of products for which product satisfies more number of customers. An indexing structure known as dominant graph is used here for implementing of dominant relationship queries. Keywords: dominant relationship queries, dominant graph, dominant relationship analysis. 1. Brijs T, Swinnen G, Vanhoof K, Wets G, ”Using association rules for product assortment decisions: a case study”, Proceedings of the fifth ACM SIGKDD international conference on Knowledge discovery and data mining, 1999, pp 254-260,. 2. Yao J, ”Sensitivity analysis for data Mining”, Proceedings of the 22nd international conference of the North American fuzzy information processing society, 2003, pp 272-277. 3. Ester M, Ge R, Jin W, Hu Z, ”A microeconomic data mining problem: customer-oriented catalog segmentation”, In: Proceedings of the 10th ACM SIGKDD international conference on knowledge discovery and data mining, 2004, pp 557-56. 4. Wang K, Zhou S, Han J, ”Profit mining: from patterns to actions”, In: Proceedings of the 8th international conference on extending database technology, 2002, pp 70-87. 5. Sen P, Getoor L, ”Cost-sensitive learning with conditional Markov networks”, Data Min Knowl Discov, 2008, 17(2):136-163. 6. Wong R, Fu A, Wang K, ”MPIS: maximal-profit item selection with cross-selling considerations”, In: Proceedings of the third IEEE international conference on data mining, 2003, pp 371-378. 7. Ling Zhu, Cuiping Li, Anthony K. H. Tung, Shan Wang, ”Microeconomic analysis using dominant relationship analysis”, Springer, Knowledge and Information Systems, 2011. 8. Lei Zou, Member, IEEE, and Lei Chen, Member, IEEE ,”Pareto-Based Dominant Graph: An Efficient Indexing Structure to Answer Top-K Queries”, IEEE transactions on Knowledge and Data, Engineering, , May 2011, Vol. 23, no. 5.